I’m a sucker for a good porter. I don’t know what attracts me to this simple style of ale but I can’t get enough of Porters. I bought this at State Line Liquors back in January after the holidays. I managed to save one to review and figured I would get it done before it gets to old. 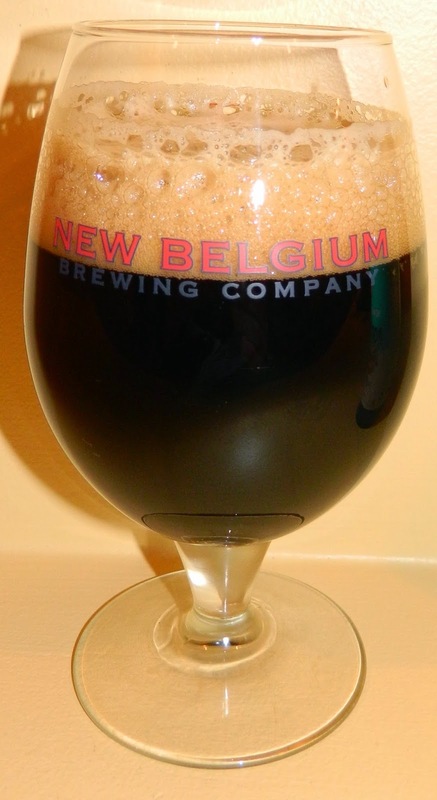 The beer pours a very dark brown almost completely opaque with just a slight hint of ruby hues peeking through the edge of the glass and a very rich tan head. The nose is very nice with rich roasted malt aromas with notes of oaky notes of cocoa. Ahhh.. what a great first sip; pleasantly smooth, rich and satisfying. The experience starts out with a dark malt sweetness up front on the tongue followed by a smooth mouthfeel as the ale rolls over the tongue in the middle of the sip. The back-end is very easy drinking with just a slight hesitation at the top of the swallow. The finish is fantastic with rich but smooth, sweet roasted malt flavors followed by notes of chocolate with a touch of oakiness. The final aftertastes of roasted malts stay with you leaving you with a very satisfied experience. What a nice Porter. And like I said I’m a sucker for a good Porter. The roasted malt flavors are perfect; dark and rich flavors without that overly backed roasted malt bitterness that you sometimes get in a Porter or Stout. Needless to say, I am very impressed with this beer. As the beer warms it seems to get richer and smoother but still does not get bitter. I’m going for an A for sure on this one, maybe even an A+. This may be my new favorite American Porter. Before I get into my final impression I must comment about the lacing. The head on the beer never completely diminished and left some very impressive lacing on the glass. 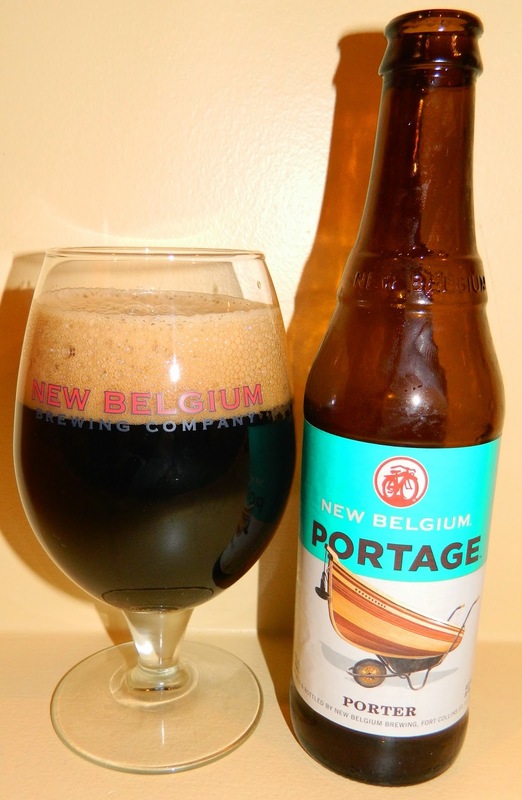 A | New Belgium Portage is an excellent American Porter, smooth rich and satisfying with exceptionally dark roasted malt flavors followed by an almost silky smooth mouthfeel with a satisfying rich finish with notes of oak and chocolate. 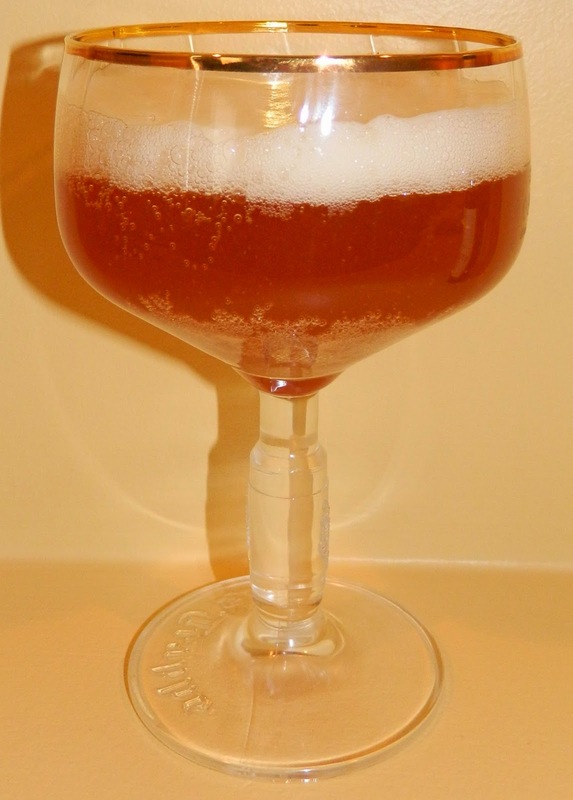 A "double strength" version of classic Belgian-style "white" ale. A deceptively light ale spiced with Curacao Orange Peel and coriander seed. I picked up a six pack few weeks ago and saved one to review. No special background, I’m just ready for another review. 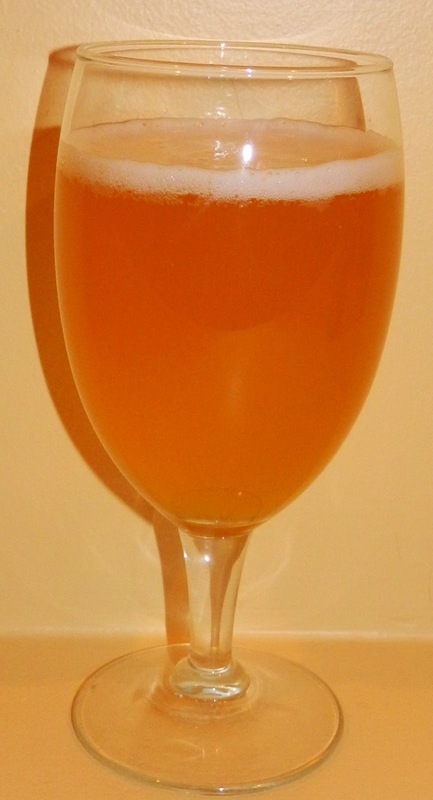 The beer pours a hazy straw with golden hues and a modest bright white head. The nose is nice with classic Belgian yeasty aromas with notes of clove and spice. That was a very nice first sip; almost warming but very refreshing. The sip starts out with a very non-descript touch of sweetness up front on the tongue followed by a cleansing effervescence as the ale washes over the tongue in the middle of the sip. The back-end is very easy drinking with an effortless swallow including a carbonation release that continues to mask any flavors. The finish is great; clean crisp and refreshing with light wheat malt sweetness followed by yeasty notes of citrus and peppery spice. There is very little of a final aftertaste just a hint of those yeasty notes. The subtle complexity is very interesting. With each sip I’m picking up more flavors; citrus, clove and spice on that one. This beer has a very light and refreshing mouthfeel. It is very clean and refreshing but also leaves a hint of warming; Very Nice. As the beer warms it seems to be more filling and more robust but still maintains a light mouthfeel. I know that sounds odd. I guess it’s just more flavorful as it warms; that subtle complexity again. Although the mouthfeel remains light it seems smoother and creamier as it warms. This is a B+ to an A- for me. I really enjoyed this experience. 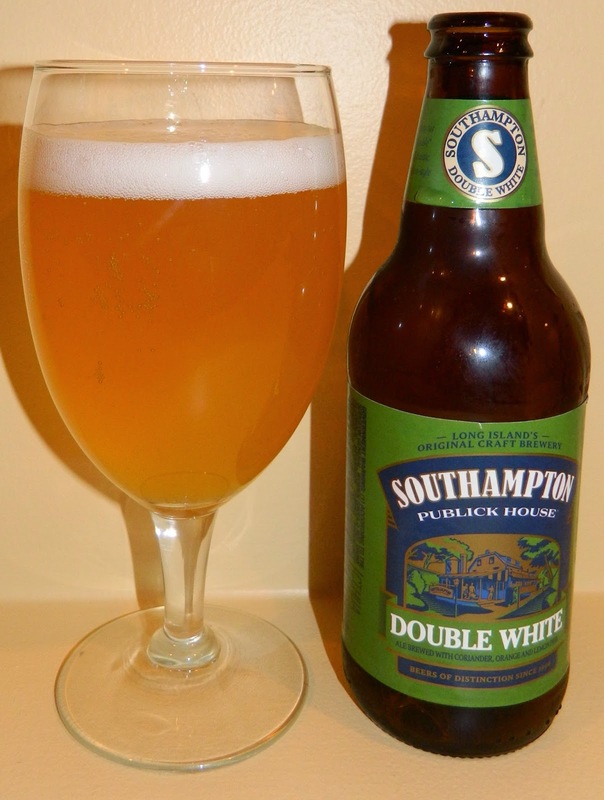 A - | Southampton Double White Ale is an excellent Belgian Witbier with light wheat malt flavors with notes of citrus, clove, and peppery spice all riding and a bed of classic Belgian yeastiness. What a nice experience. This is it, the one that started it all. Crafted to perfection for over 200 years, GUINNESS® EXTRA STOUT is descended from the definitive West India Porter known as Extra Superior Porter. Crack it open, and the first sip tastes as fresh as ever. The unmistakeable deep-dark color, the crisp hint of roasted barley, the fresh breeze of hops, and the refreshing bite all make for the bittersweet reward. No special background. This was a leftover from a stout stew that I make for a St. Patrick’s day party. The beer pours a completely opaque (stout black) with no light getting through the glass and a very rich tan to chocolate milk head. The nose is very nice with rich dark roasted malt aromas with notes of chocolate. Not a bad first sip; there was no wow factor but all and all a nice experience. The taste starts out with a heavy malt sweetness up front on the tip of the tongue. You can feel the richness of the beer as it rolls over the tongue in the middle of the sip. The back-end is fairly easy drinking for such a rich beer with just a slight hesitation on the top of the swallow. The finish has a great deal of rich roasted malt flavors with oaky hints of cocoa and toffee. The dry hoppiness almost adds a harshness that distracts from the rich malt flavors. The final aftertaste is of the lingering rich roasted malts. There is also a lingering rich creamy mouthfeel left on the tongue. As the beer warms it does not get any better. It actually develops a very unpleasant harshness. A C doesn’t seem fair but an B seems to generous. I think I’ll have to settle for a B-. 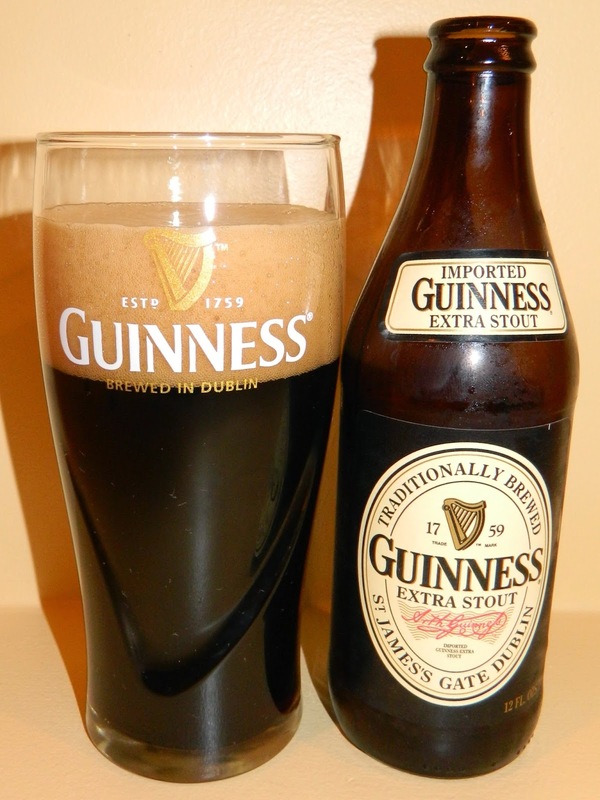 B- | Guinness Extra Stout is a nice drinkable Irish dry stout with rich roasted malt flavors finishing with oaky notes of cocoa and toffee. A little harsh as it warms but all and all not a bad beer. Black Cherry pays homage to the classic soda fountain beverage. Sweeter than most commercially produced Black Cherry sodas, it is delicious by itself or in combination with adult beverages. We had a fantastic “Team Building” event and took a tour of the Fordham/Dominion brewery in Dover DE. It was a great morning and after sampling several of their beers I purchased a variety pack of their sodas to take home to the kids. We have their Old Dominion Root Beer on draft for just about every family event. I have had and reviewed their Ginger Ale and really liked it. I tried to save one each of the variety pack but the kids got to it before me. This bottle of the Black Cherry is the only one left. I thought it would be fun to changes things up in this review and do a soda. 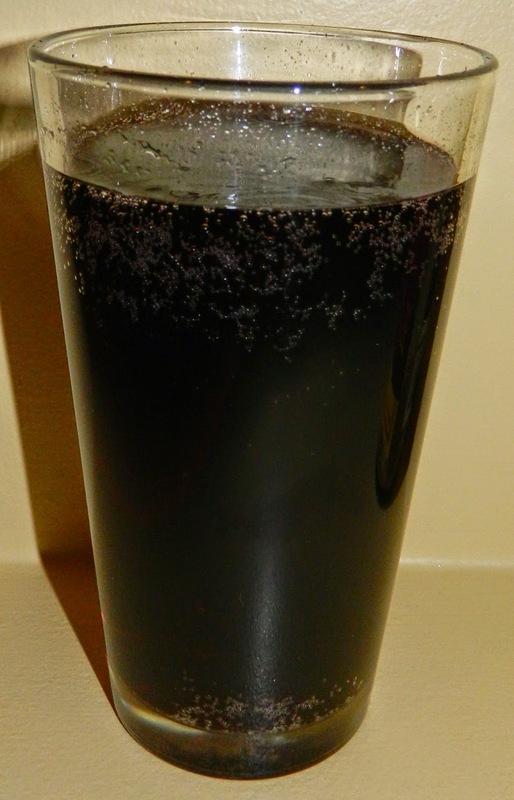 The soda pours a very dark almost completely opaque burgundy black with a quickly diminishing purple head. The nose is great with deep rich dark cherry aromas. Wow, that first sip just brought me back to my childhood; what a great first sip. The taste starts out with touch of sweetness up front followed by a cleansing effervesce over the tongue in the middle of the sip. The back-end is clean and refreshing with an additional carbonation release on the swallow that continues to mask the flavors. The finish is where the whole experience comes together with great natural dark cherry flavors leaving an almost creamy mouthfeel on the tongue. The final aftertaste is of lingering dark cherry flavors. Well there is not much more I can say about this delicious soda especially since it’s almost gone already. This is another A for Old Dominion Sodas. 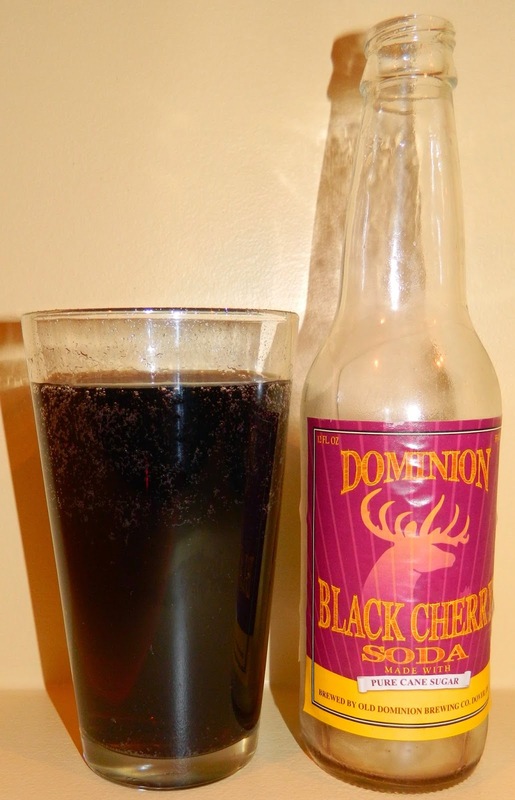 A | Dominion Black Cherry Soda is a great nostalgic through back to my childhood with rich natural dark cherry flavors leaving a rich and creamy mouthfeel. What a great experience. I recently reviewed Hardywood Singel and thought it was an excellent Belgian Pale/Single. Then today as I was preparing to review Spencer Trappist Ale I thought it would be interesting to do a little head to head comparison. I’m not going to get into all the particulars, you can read those reviews for that. I thought I would point out any differences based on Appearance, Taste and Mouthfeel. As you can see from the picture these two are night and day from each other. The Spencer is much richer looking with a slightly darker off white head. In this contract the Hardywood looks more like a wheat beer. From the taste to mouthfeel and into the finish, hands down, Spencer is by far the better tasting beer. That does surprises me. 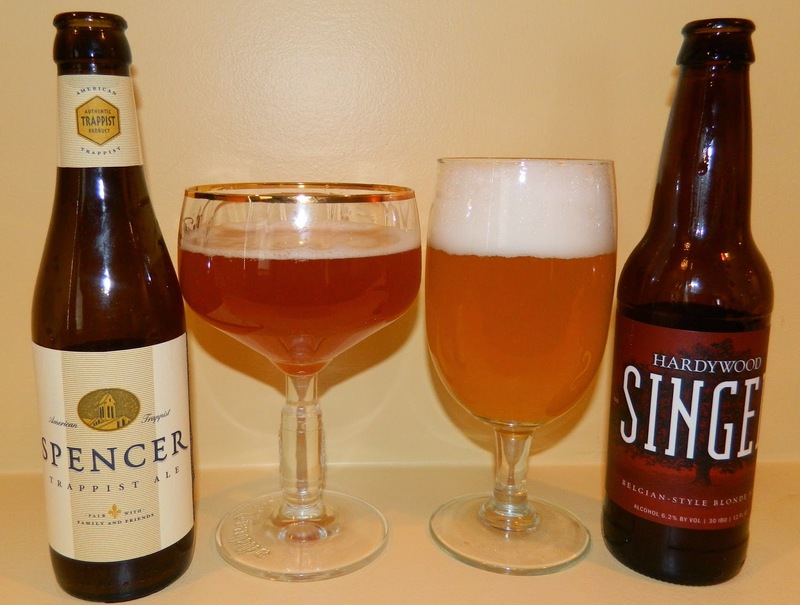 I was really impressed with the Hardywood Singel but did not realize how much better the Spencer really is. The pale malt flavors in the Spencer are richer. Even the mouthfeel of the Spencer is richer and smoother than the Hardywood. There is a unique complexity that shows in the Spencer that is not in the Hardywood Singel. I can only assume that is due to the Trappist yeast in the Spencer. The real learning lesion is that no matter how good you think a beer is something in the same style comes along that completely outshines what you have already rated as an A. Well that’s it; just a quick little post comparing two beers of the same style. As I was reviewing some Belgian style beers I remembered that my friend Matt brought two of these bottles over the first of November. I had one with him then and managed to save this one. I almost forgot about it until now. I am a huge fan of all the Belgian styles and I’m really looking forward to dissecting this single. I actually reviewed this a few weeks ago but I’m just getting around to posting it. The beer pours a hazy rich golden color with copper hues and a fairly rich off white to off-white head. The nose is amazing with pale malt aromas on that heavenly Belgian yeasty body and just a touch of citrus notes. Ahhh, what an amazing first sip. At first I didn’t think there was much to it but by the time I got to the finish all the amazing aspects of the experience came together; let me explain. The experience starts with some non-descript pale malt sweetness up front on the tip of the tongue. That is followed by a cleansing effervescence over the tongue in the middle of the sip. That effervescence really masks any flavors. There is little to no hesitation at the top of the swallow. There is also a carbonation release during the swallow so all this time I was hesitant whether or not this beer had any real flavor. All of that changed on the finish when the heavens came together and provided a most delightful experience. The finish is exquisite with rich pale malt flavors followed by that classic Belgian yeasty flavor ending in notes of citrus and light spice. Believe it or not this is where you experience the smooth mouthfeel noticing that the rich pale malts leave a smooth coating over the tongue. Wow what a fantastic experience! The simple complexity and uniqueness of style is extremely impressive. I can’t believe I’m getting this excited about a Single, Pale Ale. This is a simple Abbey beer brewed for the monk’s everyday use. It has only been in recent years that any of these beers have made it to the retail market. As the beer warms it just gets more exquisite. The malt flavors are richer and the mouthfeel is smoother and creamier now that it’s less carbonated. The complexity of the ale really shows it’s self as it warms. I kind of don’t want to finish this beer. I’m nursing it well into room temperature and it’s just fantastic. Well, all good things must come to an end and so must this review. This was a fantastic experience. I’m really struggling on a rating for this one. It’s a solid A+ for sure but since I gave Hardywood Singel an A and this one was so much better I feel like this should be an Outstatndaing or I should re-mark Singel an B+. On the other hand I only gave one Outstanding and that was for an aged specialty beer, Samichlaus Bier. Honestly as good as this Trappist was I’m not sure it was good enough for an Outstatnding. On the other hand this is the most exquisite beer that I have had since getting back to reviews. Chances are, if I had this first I would have given it an A+ and Single a B+ or A-. On the other hand I don’t like changing my ratings there are what I feel they should be at the time. Since I ran out of hands several hands ago what does this mean? An A+ for Spencer. 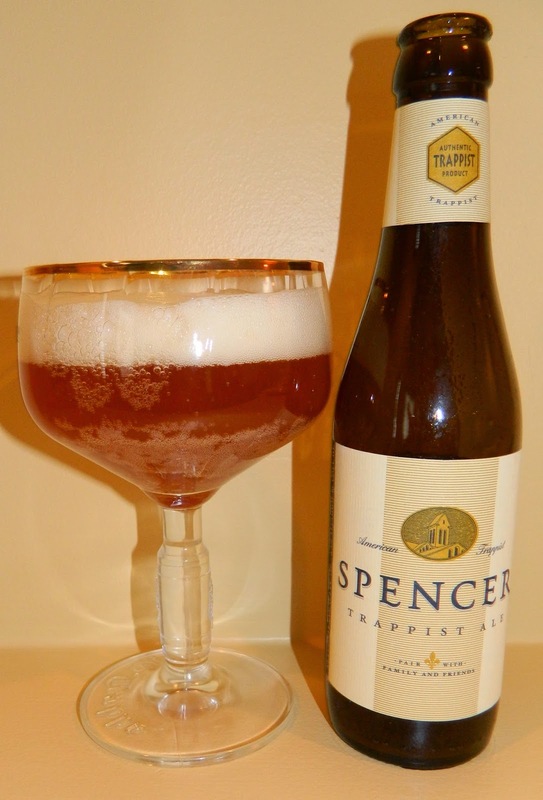 A+ | Spencer Trappist Ale is an exquisite Belgian Pale/Single, brewed with the craftsmanship of the Belgian Trappist traditions, with rich pale malt flavors, exceptional mouthfeel and complexity finishing with notes of citrus and spice.